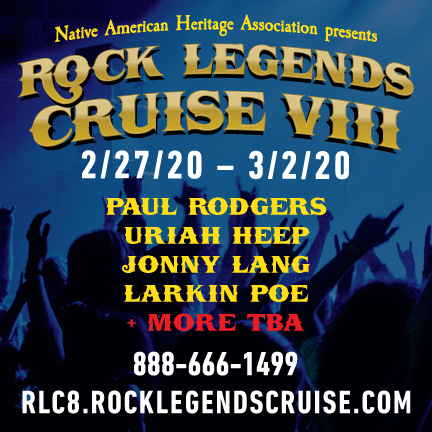 Jonny Lang is confirmed to perform on Rock Legends Cruise VIII. The ship sets sail February 27 – March 2, 2020. Performances are scheduled in: Germany, France, Italy, Netherlands and the UK! Tickets on sale THIS Thursday. The Experience Hendrix Tour, the critically acclaimed multi-artist celebration of Jimi Hendrix’s musical genius is returning in 2019 with its biggest ever tour—30 dates through the East Coast, South and Midwest. What began as a single show tribute at the Rock & Roll Hall Of Fame in 2000 has blossomed into a full-fledged concert experience that has thrilled countless fans across the US. The tour presents a host of great artists collaborating and interpreting Hendrix’s legendary songs as part of a powerhouse, three hour concert experience. 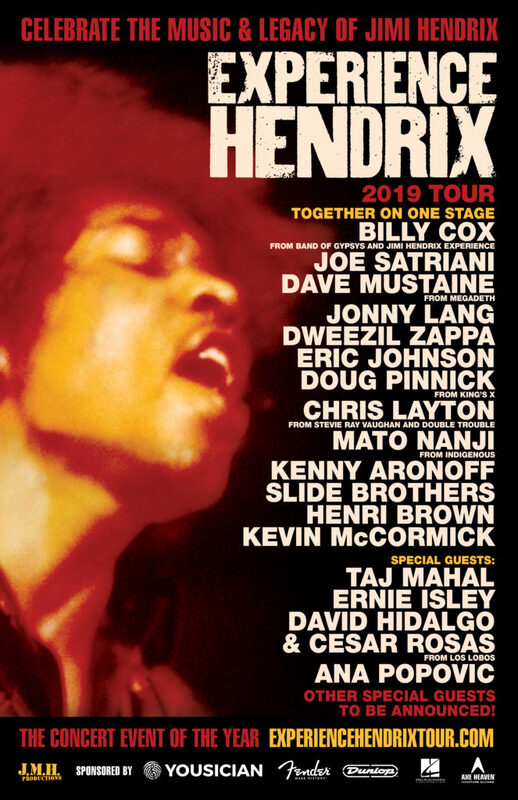 This latest edition of the much anticipated tour once again emphasizes the influence Hendrix has made on a diverse group of artists. 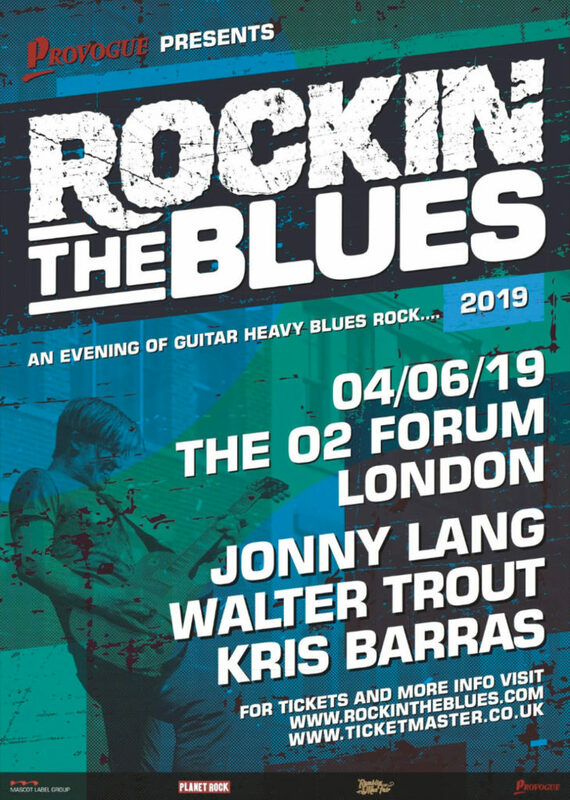 Jonny Lang will join Joe Satriani, Taj Mahal, Ernie Isley, Dweezil Zappa, Dave Mustaine along with other Hendrix mainstays such as Billy Cox and Eric Johnson will also be on board for the expedition. The Experience Hendrix Tour offers fans a rare opportunity to see many highly regarded players performing together in a unique setting. The tour kicks off March 3 kickoff in Pompano Beach, FL. Jonny Lang will make his long awaited return to New York City on July 18th with a performance at the brand new Sony Hall in Times Square. For tickets: Click here. On his latest release, Signs, Lang returns to his guitar-based roots and channels the spirit of early blues heroes such as Robert Johnson and Howlin’ Wolf. Currently on tour in support of the LP, Lang took some time before a Boston concert to discuss his approach on Signs, his favorite blues recordings, his non-music addiction, and where his GRAMMY is on display. Jonny Lang’s brand new studio album, Signs, will be released in North America on September 8th via SayRai / Concord Records. The album (his sixth major label release) is his first in four years. Signs was released in Europe this past Friday via Provogue Records / Mascot Label Group. Today, Jonny debuts the first video from the new album with “Stronger Together” directed by Norwood Cheek. You can watch the clip below. 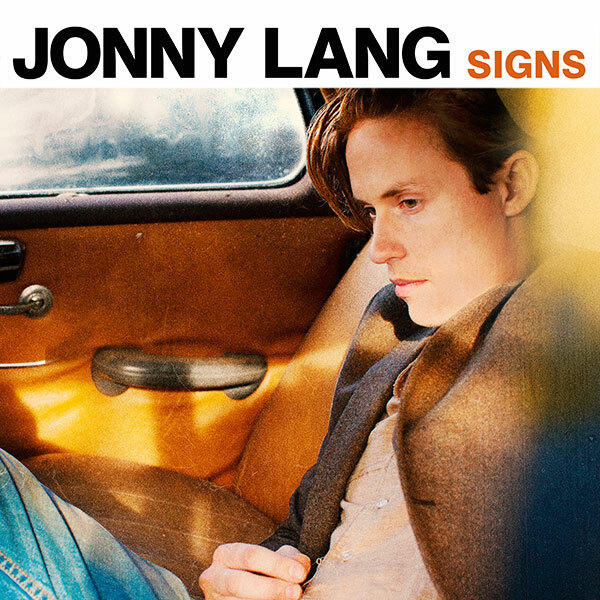 Jonny Lang’s brand new studio album, Signs is out in Europe today via Provogue Records / Mascot Label Group.